Welp. A few years after uttering that line of pretension, here we are. Planning for a PCS and looking at apartments or condominiums. All right, MilitaryByOwner blog readers, before you think I’m having a diva moment, take a trip down memory lane with me. Long ago, in the mystical land of my 20’s, I lived in a series of mismatched apartments. Those lackluster domiciles offered grand amenities such as paper-thin walls, unsolved plumbing mysteries, and "survival of the fittest" parking. When I earned a minuscule raise at my first full-time job, I vowed to save funds and someday rent a single family home. No matter how small that dwelling might be, it would be quiet, it would be private, and it would be mine! I was dreaming of detached small space living long before the tiny house trend hit! Since those early days, I’ve met and married my active duty spouse and indeed lived in single family homes. Over our seven previous assignments, we've used the handy online search tools at MilitaryByOwner with great success. 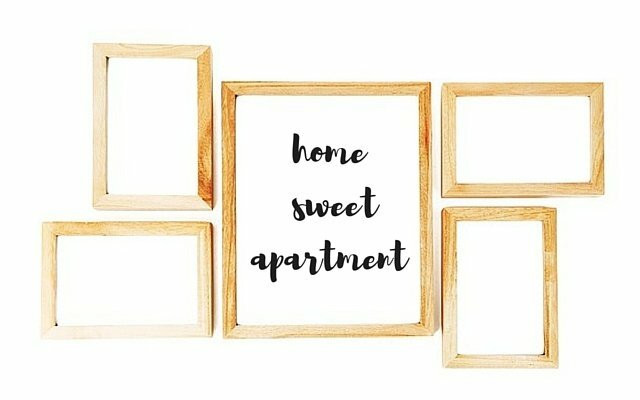 By scrolling through listings, we've found delightful rental homes to fit our needs. However, when orders arrived for our current assignment, we decided to add apartment and condominium living into the parameters of our MilitaryByOwner home search. No more mowing the ever-growing lawn all summer long. No more scooping record snowfall in the winter. We are ready for maintenance-free living! Oh sure, there may be noise from neighbors. There might be delays with repairs. We may face unresolved parking issues. But it seems like a good time to change things up and try something new with our living quarters. Of course, this may be a secret effort by my spouse to reduce the swarm of plastic totes that follow us around? Regardless, I am willing to give "downsizing" a whirl! Choosing an apartment or condominium may prepare us for moving into a potentially smaller residence in our retirement years ahead. With this low-key slice of life in mind, we migrate towards properties in quiet, safe, family-friendly neighborhoods. We prefer to be an easy distance to shopping and dining, but we do not need to live directly in the thick of commerce. Our fear is choosing an apartment or condominium tucked in a charming spot and later finding out that the locals savor their nightlife into the wee hours! Pets: We are dog people. Living in a place of our own has been our go-to option because our family includes two large mutts. When searching in earnest for an apartment or condominium, will the mixed breeds of our canines cause a headache? Or, will the size and weight of our dogs be approved? Sadly, breed discrimination and size restrictions seem to be a common factor in today’s rental market. Many rental properties have strict guidelines for tenants with pets and often require a monthly pet rent fee. the whir of the coffee bean grinder, my hairdryer, or the vacuum. These are common noises in our day-to-day life. Perhaps we’ll need to keep tabs on the noise we create out of consideration for those we share walls with. Gym. On-site fitness classes may be just what we need to follow through with that New Year's resolution to exercise more! Plus, a well-kept gym with all the latest equipment means we do not have to invest in (and move) expensive (and heavy) exercise machines. No more need for that treadmill hiding underneath the pile of clean clothes! Pool. It’s so much more enjoyable to lounge by a refreshing swimming pool when you know you are not in charge of cleaning it! Warm weather fun may also include a hot tub or a splash pad nearby. Clubhouse. Need a room big enough to host a baby shower or a birthday party? Most rental communities offer a premium gathering area, which may be reserved for special events. a full kitchen with a serving island or ample countertop space for a buffet line. This low-stress way to entertain is sure to be a crowd-pleaser! a less stressful commute, if living closer to work. These are just a few of the many points we’ll need to ponder as we continue our property search. Renting an apartment or condominium may be the best choice that we can make at our upcoming assignment. My previous diva concerns about "sharing a wall" may not matter after all! If YOU have a PCS on the horizon, when you begin to browse property listings, bookmark the MilitaryByOwner website. Along with a variety of property types for rent or for sale, MilitaryByOwner offers the information you need to help make your upcoming house hunt as easy and efficient as possible!